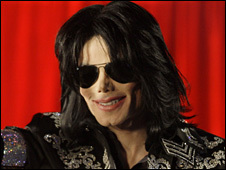 The importance of Twitter as a medium for breaking news is confirmed tonight following the sad reports of the death of Michael Jackson. As I write this, AP has just confirmed that Jackson has died due to cardiac arrest. But I was first aware of the story about two hours ago when ‘Michael Jackson’ was the #1 trending topic on Twitter. This was at least an hour before the story appeared on any ‘traditional’ news outlets on the web. Right now Twitter is completely down – I can’t even get the Fail Whale. This sad news story, demontsrates the importance of Twitter as a medium for breaking news. It appears millions of people are turning to Twitter for the latest news – and, more importantly, to share their thoughts. The problem is, that Twitter’s temperamental infrastructure seems to be creaking under the pressure.